I use the Micron Microwipe to kill in-field nettles with Roundup because selective chemicals do not work so well. 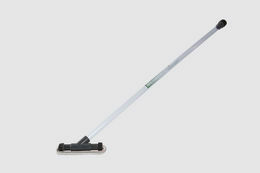 The Microwipe is light, easy and enjoyable to use. I would really recommend it. 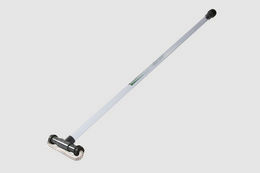 The hand held Microwipe has been specially developed for the selective application of systemic herbicides and is particularly suitable for those herbicides containing glyphosate e.g. Roundup. 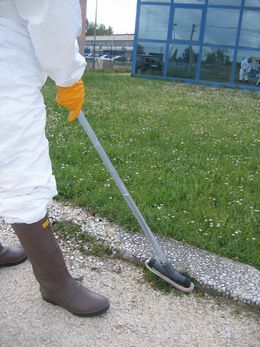 The Microwipe has significant advantages over conventional methods of application such as knapsack sprayers for spot applications or treating sensitive areas . The concentrated herbicide within the Microwipe is applied only to those plants that the rope wick comes into contact with. 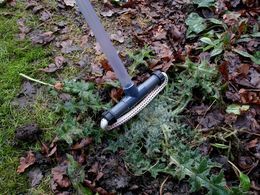 By moving the Microwipe over the leaves of a weed, a small dose of herbicide is transferred to the target weed only, with surrounding plants uncontaminated. 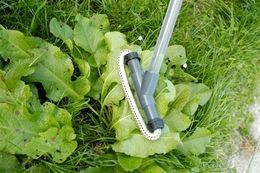 The Microwipe is therefore ideal for treatment of weeds in row crops, vegetable gardens, between grape vines, around trees, or any other place where conventional treatment would be too dangerous or difficult. 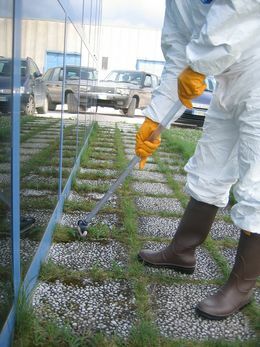 The Microwipe is also suitable for the treatment of invasive weeds. 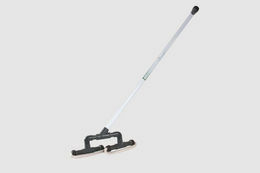 The Microwipe gives excellent results when used on individual weeds or clumps of weeds. The first effects will generally be seen 1 - 2 weeks after treatment when using glyphosate based herbicides. Light to carry and easy to use.